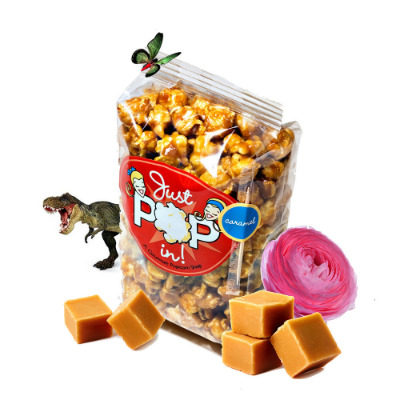 7.2oz Caramel Corn - Just Pop In! Sugar, Caramel Corn Mix (Corn Syrup Solids, Brown Sugar, Molasses, Soy Lecithin, Cream of Tartar), Gourmet Popcorn, Butter (Cream & Salt), Refined Corn Oil, Beta Carotene (Color), Artificial Butter Flavor, and Kosher Salt. This Product Contains: DAIRY. Product is Produced in a facility including Tree Nuts, Whey, and Soy. April 20th, 2019 person_outline Margaret C.